In one of my extensive consulting projects with an organization, I was asked to focus on a number of departments to see if I could help each departmental leader improve their respective areas. My initial diagnostic revealed a general lack of urgency and a sense of settling. In-bound phone traffic was way down due to the lack of leadership / ineffectiveness in the marketing department. Two new salespeople were hired without significant training. The top performing salesperson was distracted by external issues. From here, the prescription was straightforward. We focused on tightening up marketing efforts, including a comprehensive strategic marketing plan with tracking for each marketing segment. Additionally, We established benchmarks, metrics, and departmental goals for both sales and marketing. The bottom line was that the personnel were great people; they just needed a clear and strategic path to follow with a clear way to measure progress. When these were implemented, a healthy sense of urgency returned. Does this story resonate with anything in your current business? Is your business defined by great relationships without consistently great results? Let me first say that I commend you for creating a strong relational culture that embraces trust, transparency, and personal respect. This is not easy! But, I want to challenge you to activate a culture that is both happy and accountable. First, start by addressing your organization’s imbalances so that you can bridge the gap between a strong relationships culture to a strong relationships AND strong results culture. What is/are the problems? Be specific! Why are these specifics not working? Who will be responsible to fix them? Organizations that need to tighten up must provide their people with parameters clear enough to guide their beliefs, which will trigger right behaviors. The trust you place in your workforce works best if you clarify expectations, directly communicate roles and responsibilities with expected timelines. I can’t emphasize this enough. “The best relationships start with great communication around expectations” When needs/expectations aren’t met – the relationship starts to sour AND hurt feelings will lead to the break down of the relationship. We want you to feel equipped, empowered, and successful – SO we communicate, delineate, delegate, equip, empower, AND add accountability! Entrust your people to embrace and embody predetermined beliefs, that lead to successful behaviors built for maximizing effectiveness and then hold them regularly accountable. These standards are sure to set your team up to succeed. 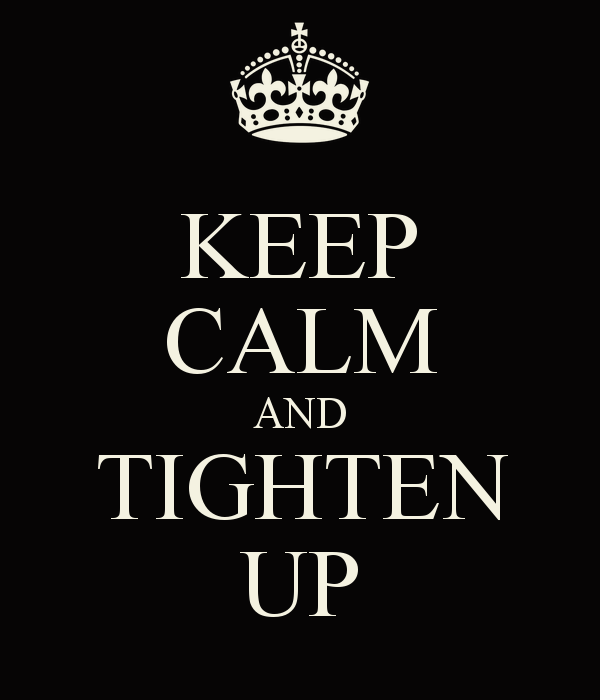 What in your company do you need to do to “tighten up”? Where? With whom?